Explore the various engagement rings, eternity bands and wedding bands for women that protrude charm, personality and confidence. A woman’s individuality, outlook and love can be defined in many ways. Even the most classic styles that are as clear and simple as the truth have depth in meaning. For True Knots the timeless designs created for the True Woman embody characteristics fit for a Queen; you. Some are daring and some are subtle, but all tell a story of a woman’s individuality, outlook and love. 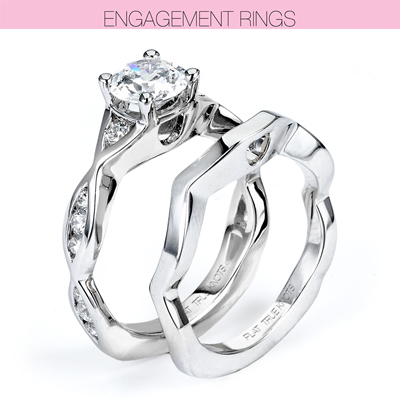 Our signature engagement ring design is reminiscent of sheer femininity inspired by the warmth of an embrace. Sensual, timeless, and true.